In some cases, combining your retirement accounts can help you to manage them more efficiently and save money. Rebalance IRA‘s Scott Puritz explains why via Consumer Reports. Even if you’re diligently saving in the 401(k) plan you have at work, are you giving the same attention to the old 401(k)s you’ve left untouched when you changed jobs, or even retired? When you leave a job, you typically have the option of keeping your money in the employer’s 401(k) plan, or you can move it to an individual retirement account (IRA). Most people do the former—nearly 90 percent of money that is eligible to be rolled over remains invested in a company plan, according to Alight Solutions, a benefits administration provider. If you’re in that group, you may be missing out on an opportunity to boost your retirement savings and streamline your retirement plan. “There are often no benefits to leaving the money in a plan, and there can be plenty of pitfalls,” says certified financial planner John Gajkowski, a co-founder of Money Managers Financial Group, an investment advisory firm in Oak Brook, Ill. Rob Austin, head of research at Alight Solutions, says there are three main considerations before deciding whether to consolidate 401(k) accounts: the investment choices, the fees the 401(k) charges and whether managing multiple 401(k) accounts in retirement would be difficult for you to handle. Investment choices. 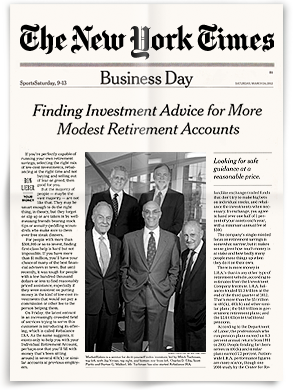 Most 401(k) plans offer a core lineup of portfolios that hit the major asset classes, such as U.S. stocks and bonds and international stocks. But if you want access to other market niches—say small-cap stocks, emerging market stocks, or real estate investment trusts—an IRA may allow you to invest in thousands of funds and ETFs, as well as individual stocks and bonds. Investment costs. If you work for a Fortune 100 company, chances are your plan’s large size delivers a valuable economy of scale: rock-bottom annual expense charges on the portfolios offered in the plan. That can make staying put in a 401(k) a viable option. But Scott Puritz, Managing Director at Rebalance, an investment advisory firm that specializes in retirement savings, says that if you’re not working for one of the behemoths, you are likely paying more than necessary. “It’s not uncommon for companies with fewer than 1,000 employees to have annual fund expenses in their plan of around 1.5 percent. You can do a lot better with an IRA rollover, ” he says. At low-cost providers such as Fidelity, Schwab, and Vanguard you can invest in mutual funds and exchange traded funds (ETFs) that may charge significantly less. For example, the Schwab Total Stock Market Index fund charges an 0.03 percent annual expense fee. The Vanguard Total Bond Market Index fund charges an annual expense fee of 0.15 percent. Even if you’re investing a seemingly small amount, the lower fees can add up to big savings. A $10,000 investment in a fund that has a gross (pre-expense) return of 6 percent would grow to nearly $25,000 over 20 years if the fund charged a 1 percent expense fee. If the $10,000 was invested in a fund with an 0.20 percent charge, it would be worth nearly $29,000. Another option, if your employers allows it, could be to move money from an old employer’s plan into the plan offered by your current employer, which may offer a fabulous plan with a lineup of low-cost funds that meet your allocation goals. A unified asset allocation strategy. It’s essential to have a mix of investments—stocks and bonds, U.S. and international—based on your appetite for risk. “But when you have money spread across multiple 401(k)s it’s impossible to have a holistic approach,” says Puritz. A benefit to putting it into an IRA is that it would be far easier to monitor your asset allocation and rebalance when necessary. Making withdrawals in retirement. Handling withdrawals from several 401(k) accounts in retirement could be akin to cat herding. Consolidating accounts under one brokerage or fund company can make managing withdrawals and tax bookkeeping easier. But you should note that under current rules, if you withdraw money from your IRA before age 59½ you will be charged a penalty. However, you can withdraw money from a 401(k) without a penalty starting at age 55 if you leave your job. As far as required minimum distributions go, if your money is in an IRA, you need to start taking distributions after you turn 70½. But if you have your money in a 401(k) and are still working, you don’t have to take a distribution until you retire. Tax bills for your heirs. When a spouse dies, 401(k) assets pass to the surviving spouse, who will then be required to take annual withdrawals based on his or her life expectancy. But if your leave your 401(k) to someone other than a spouse—such as an adult child—the plan has the right to insist that the beneficiary withdraw all the money within five years. That can create a tax headache. “Moving your money to an IRA can help your heirs, as they can make withdrawals based on their life expectancy,” says Gajkowski. If you decide to roll over your 401(k)s, opt for a direct rollover that leaves you out of the transfer process. Once you complete some basic paperwork, the firm where you have your IRA will contact your old employer and they will get the money transferred straight into the IRA. 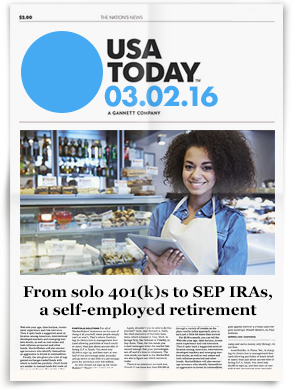 If you have company stock in your 401(k) that has appreciated a lot, you may want to explore a separate IRA rollover for just the stock. An arcane Internal Revenue Service rule called net unrealized appreciation (NUA), can reduce the tax bill you will owe when you eventually sell those shares. That’s one more valuable way to boost your retirement income.